In continuing with the "meaty" portion of my Easy Super Bowl Appetizers, I bring you yet another classic — the Sloppy Joe. Yes, yes I did. Who didn't grow up with this staple? 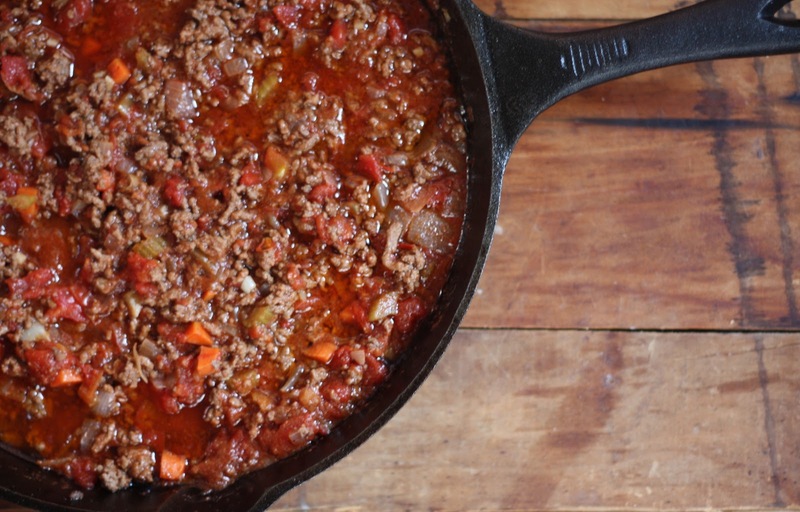 Of course, those of you familiar with the Sloppy Joe most likely had versions prepared from a can that began with an "M" — well this recipe, my friends, is not brought to you by the letter "M". Melt butter in skillet — add onions, garlic, sauteing until soft. Add the carrots, peppers and celery (it is key to add after the onions as these provide a little crunch in the sandwich). 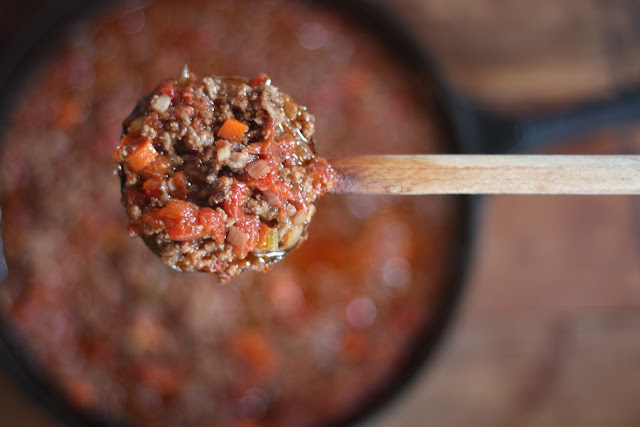 Add ground beef and brown, mixing well with vegetables. Add chili powder, cumin, tomatoes and splash of wine — simmering until sauce thickens. Taste and add salt and pepper to your liking. 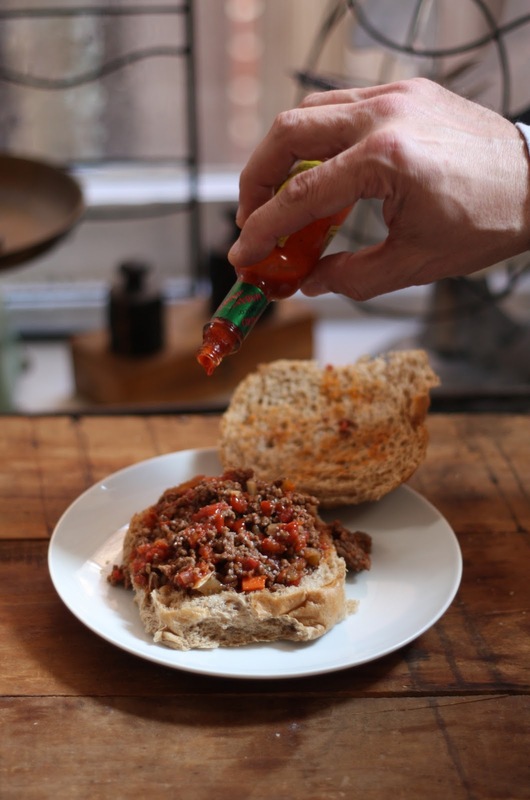 Tip: Serve on full size rolls or smaller dinner rolls (for that Sloppy Joe slider effect). I always add hot sauce for that extra point (kick). Of course in the blogging world I just, "URP", ate this — so who knows what I am making for Super Bowl. I promise to at least let you know what goes down on Sunday. Always hoping for a good game and please let me know if you did indeed try any of the gameday appetizer recipes — I hope they were all game pleasers.